.CSS and all sorts of other punctuation that computers read. As a front-end designer I can take those pretty ideas and write them into visuals where computers read them, fast and accurately. I have been working with Matthew at Pacrav as he has been setting up his new physiotherapy business in Reno, Nevada. We have been working on branding and website needs. The logo for Pacrav is based around the idea of movement, flexibility and strength, we created a unique shape that has an inclusion of the double “A” with a custom word mark and can be used with the tag line as well as in individual parts. Pacrav has been strongly branded in orange as a bright and lively color which can be used for branding elects or used as a background with white elements over it. 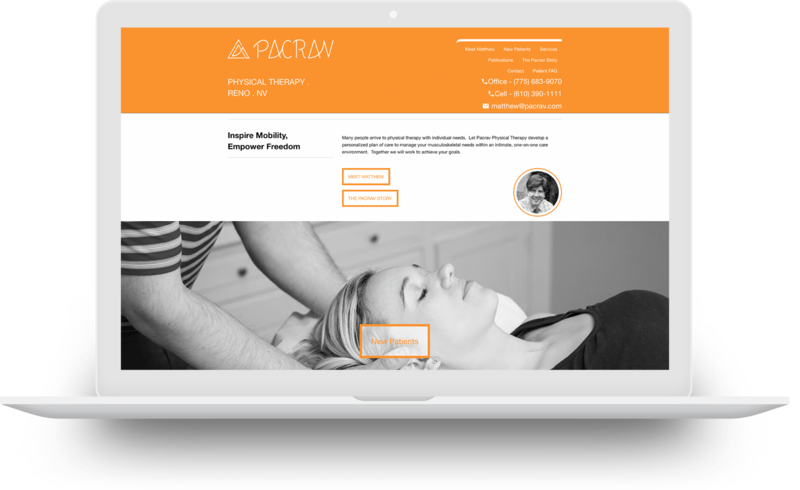 The site with all its branding and ideas can be found at pacrav.com aside from the regular website needs of a business in this day and age but we have taken that further streamlining the consultation forms, since these have been setup Matt has found it has saved time for patients as well as employees. 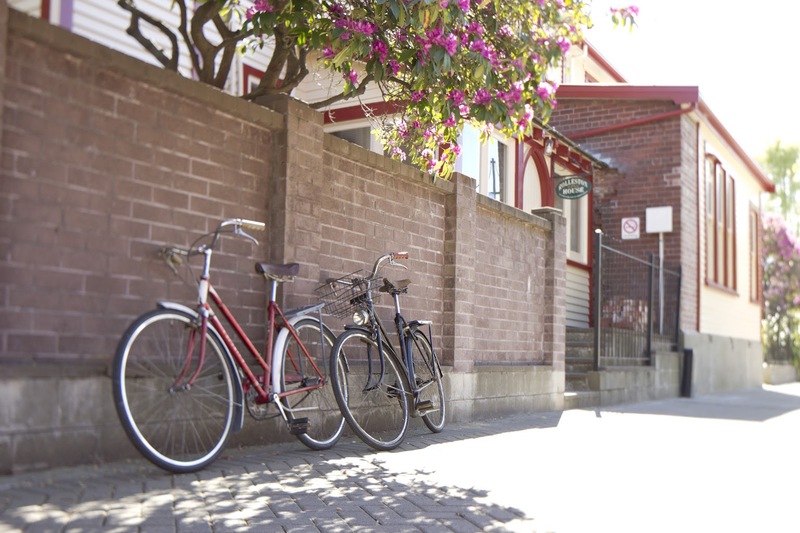 The site was built on a foundation framework with a wordpress Content Management System, with these together we we’re able to create a site that was affordable but also preforms strongly in many environments, the site is fast and responsive across devices with modern and documented code for easy updates and additions. As a custom butchery service Canterbury Homekill is a local service for farmers and hunters. The service requires a detailed form for each order, by moving this online the butchers have more time for work and a lot less time in admin. I have been helping CHK build up the online system and adapt as customers and orders have changed over the years. 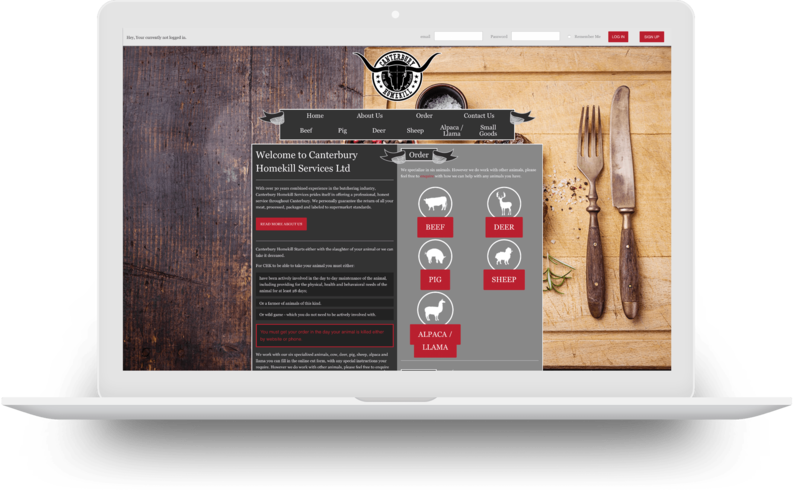 As a customer uses the service they are able to create a profile for looking back on orders and get in touch with the butchers. In addition to the website we have also worked on rebranding Canterbury Homekill with a new logo and color scheme as well as newspaper advertisements for marketing. 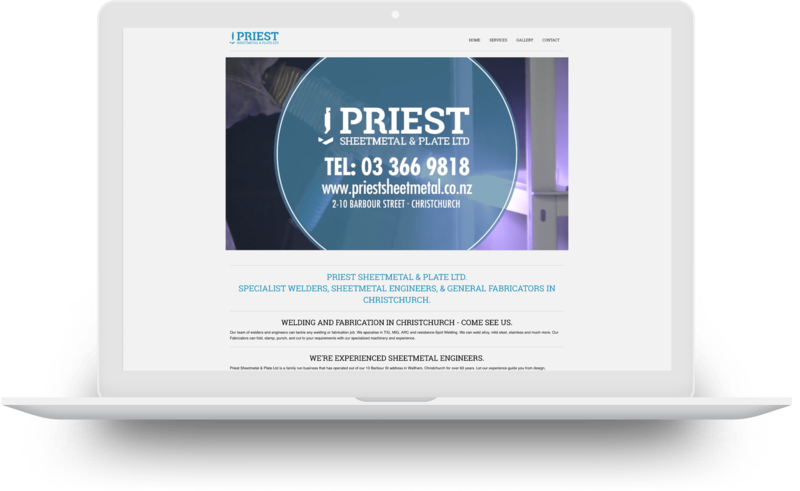 Working with Priest Sheetmetal has had me spanning from graphic design to photography and branding then back again, as a local staple in an older industry the Priests are in their third generation of running the company and showing no signs of slowing down so they are embracing the modern design style and modern methods of reaching customers. The logo is a sheetmetal press which may get lost to those outside of the industry but they are ok with that as it still creates an interesting shape. The branding then rolls into the slab serif typeface to create a sturdy foundation as a reflection of the metal products they build. From the strong foundation of the icon, slab serif typography and a strong blue we have been able to build up into marketing materials from business cards to a website that is quick and to the point. As a return of an 80’s aesthetic, snowboarding went back to big and bright colors including a friends company producing tall hoodies as well as a few other pieces. 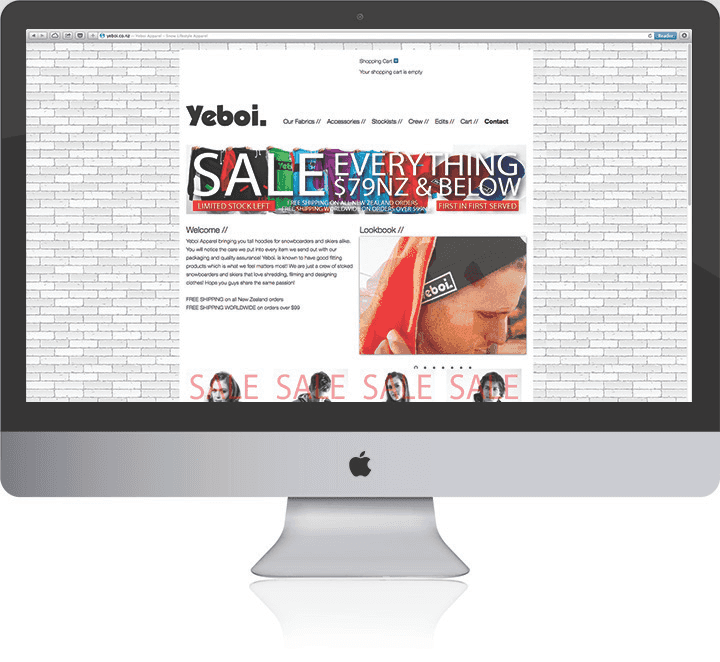 Yeboi was riding the wave of cheap Facebook advertising with a direct to consumer approach, the project lasted a couple of years while I worked on design, web, photography and the snowboarding videos that were a key piece of the marketing for Yeboi.